With 52 spacious guest rooms and elegant bungalows, guests can effortlessly delight in leisure at Mayaland Hotel & Bungalows. 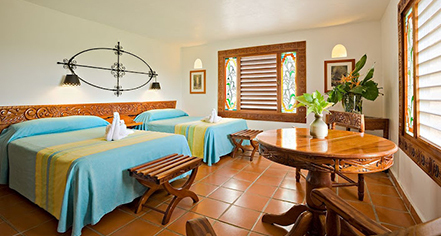 Boasting five unique room categories, each accommodation will allow for the utmost relaxation and rejuvenation amid the Yucatan's greenery. 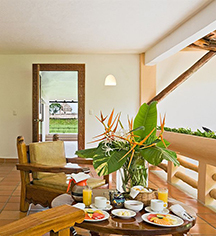 Rooms - With a variety of amenities afforded to travelers, each guest room is located in the main building with matchless views of the gardens or Chichen Itza from the private balcony. Suites - The hotel's Suite accommodations showcase elegant accents, with luxury features such as private balconies and stained glass aesthetics, coupled with extraordinary views. Bungalows - Each bungalow is located in a secluded area of the property, allowing for complete serenity.